Overcoming language barriers is one of the greatest challenges for any audience, particularly in the social space where multiple conversations are happening on multiple platforms in multiple languages all the time. Social technologies have broken the barriers of space and time, enabling us to interact 24/7 with more people than ever before. But like any revolutionary concept, it has spawned a set of new barriers . Internet penetration in India has empowered many. Yet one of the main issues faced by a majority of the population is the unavailability of tools to use and access information in regional Indian languages. To simplify lives of those who wish to communicate in regional languages over WhatsApp using their smartphones , the Industrial Design Centre (IDC) in Indian Institute of Technology, Bombay (IIT-B) has designed Swarachakra. Swarachakra is available free of cost for all Android phone users and it is integrated with the Better Together framework, allowing users to run an application on multiple phones at the same time. 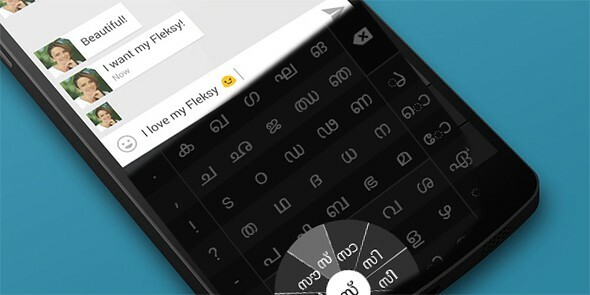 It means that a user typing on one phone using the Swarachakra keyboard can also see the conversation on the second phone. The Swarachakra is available in Hindi, Marathi, Konkani, Kannada, Malayalam, Tamil, Telugu, Oriya, Bengali, Assamese, Punjabi and Gujarati. Born out of about 12 years of research in the usability of text input by Indian users, Swarachakra has been specially designed by teams of experts who also happen to be native speakers of those respective languages. Thus, even when both Hindi and Marathi use the Devanagari script, the different designs for the two languages allow users to type the nuanced differences between the two languages. 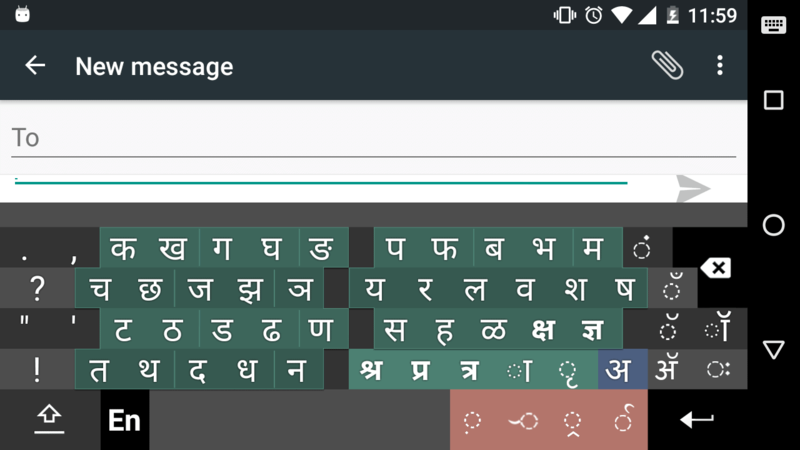 The uniqueness of the dynamic keyboard lies in the way it keeps the structure of Indian scripts in mind. 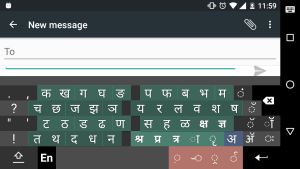 While a typical keyboard is designed for the alphabet and thus does not recognise the typicalities of the Indian scripts, Swarachakra stands apart due to the fact that it doesn’t use the alphabet as the basis for its application. Since the idea took shape during the desktop computer era, the team has made about 100 keyboards and used them for internal research projects. After Android phones became available, the team came up with the current version of the keyboard. The ‘splitting’ project to allow users to use two phones simultaneously is the product of collaboration with Swansea University, titled ‘Re-shaping the Expected Future’. The Better Together toolkit and Swarachakra keyboard has been unveiled on March 20 at the Microsoft Research division’s office in Bangalore. A keyboard that breaks language barriers on WhatsApp 0 out of 5 based on 0 ratings. 0 user reviews.